Note: This interview is from early April. 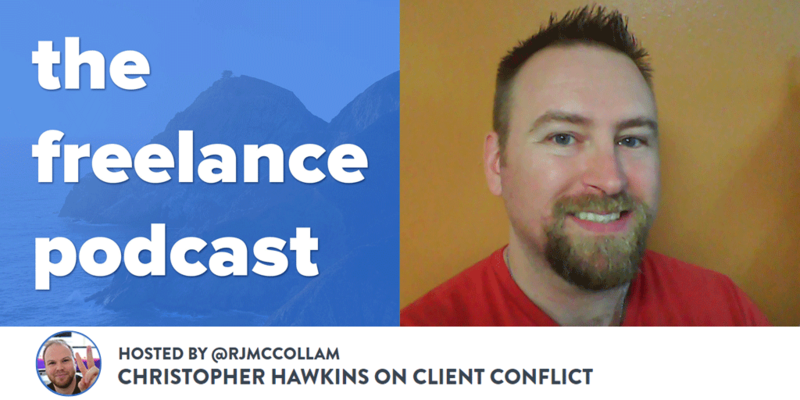 RJ from The Freelance Podcast was invited me on the show again, this time to talk a problem many of us freelancers share – conflict with clients! We talk about how freelancers get themselves into conflict with clients, how some clients are trouble on their own, and some strategies for coping with each. We also cover some of the material from my Conquering Client Conflict course for freelancers. As always, RJ is a great host doing a great podcast, and I’m flattered to have had a chance to be involved. Head on over and check out the interview!